After you worked with the members of your team, at some point you may want to restrict access to selected files that other people don’t have, or shouldn’t have access anymore. For example, when the end of the project has been reached. 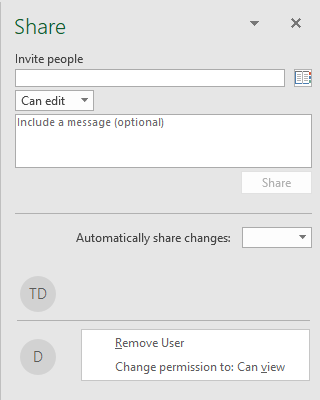 In Excel, you can turn off sharing files. In order to turn off sharing a file, perform the following steps. 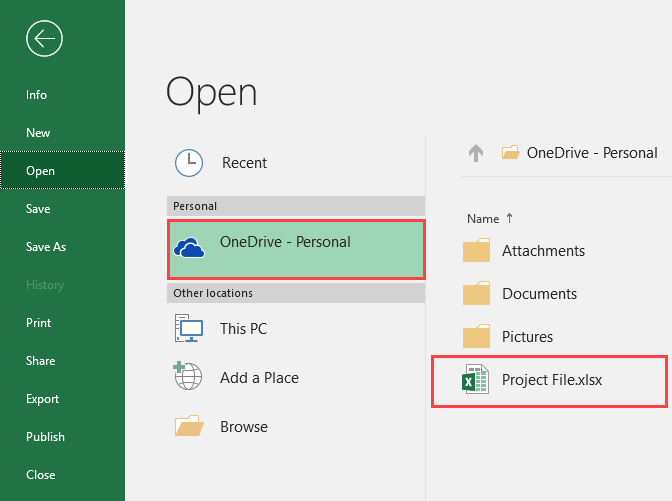 Go to File >> Open >> OneDrive. Click the document to unshare. It will open in Excel. In order to check whether your document is shared, check the name of the document. If it has “[Shared]” to the right, it means it’s being shared right now. Click the Share icon in the upper right corner. The share panel will appear. Now you can right-click a person and click the Remove User button.